An holistic system that challenges and enhances the whole being.
! 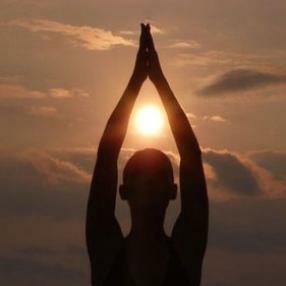 hour class of traditional Hatha Yoga, suitable for all levels. Turn up early to ensure your place! A series of low impact exercises designed to improve functional movement, and general health. All levels, although some experience useful for this class. This course provides a systematic introduction of yoga postures, breathing exercises and guided relaxation techniques. In this class you transition between postures working with the breath. Creative sequencing incorporates hatha and astanga and is done in such a way that exercises most of the body – internally and externally. Depending on student needs and requests, sometimes classes will focus on particular aspects of training – for example, opening the hips for faster development. You will have a great workout and leave feeling energised and empowered. Your mind will be free and positive. You will float out of the door! Integrated yoga + mindfulness is an approach to yoga and movement in general that allows you to work with your mind as much as your body. It gives a way of bringing your logical, conceptual, problem solving brain and your intuitive, feeling, emotional brain into balance. ​Using the framework of ashtanga as a basis for exploration, a key principle of IYM is the cultivation of "effortless effort". A unique approach that harnesses the energetic qualities of the Bandhas and Ujjayi and the original somatic psychology teaching of the Buddha it creates a flowing, light and energizing mind and body dynamic that is self-teaching, self-correcting and self-healing.